When it comes to the Dallas Cowboys and their draft strategy, knowing the prospects they bring in for their allotted 30 pre-draft visits is a really good indicator of the direction they will go come draft day. Over the past several years they've targeted these players in the draft, which is why this year I decided to keep a pre-draft visitor tracker for the Cowboys. So far, I've been able to confirm 27 of the possible 30 Cowboys pre-draft visitors and I think it's safe to say Dallas may have shown their hand a little as to how their 2019 NFL Draft strategy may play out. It takes a little reading between the lines and a little creative thinking, but because of the players they brought in I can confidently guesstimate their thought process for the first three rounds. Dallas Cowboys Targeting Safety at 58? The Dallas Cowboys haven't been shy about showing their interest in several of the safety prospects in this year's draft class. I have been able to confirm six so far they have brought in as pre-draft visitors, and at least four of those could be in play for the Cowboys with their second-round pick at 58th overall - Taylor Rapp (Washington), Johnathan Abram (Mississippi State), Juan Thornhill (Virginia), and Chauncey Gardner-Johnson (Florida). 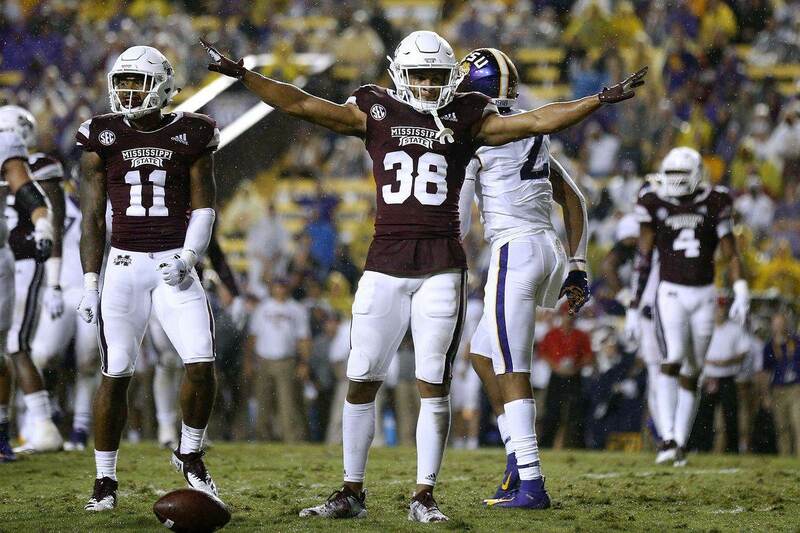 Now, there's no way of knowing if any of these safety prospects will still be available when the Cowboys are on the clock at 58, but this would indicate they are hoping that is the case if you read between the lines. I personally think there is a really good chance at least one, if not all four, of the safeties will still be on the board for Dallas. I actually prefer Thornhill or Gardner-Johnson because I believe they are more versatile players, but would be just as happy if Rapp or Abram ends up being the pick. Looking at Dynamic Wide Receivers at 90? On paper it looks like the Dallas Cowboys have a logjam at wide receiver, but outside of Amari Cooper, Michael Gallup, and maybe Randall Cobb they are all basically unknown and unproven. That's why I wasn't completely surprised to see the Cowboys add four WRs to their allotted 30 pre-draft visitors - Deebo Samuel (South Carolina), Mecole Hardman (Georgia), Emanuel Hall (Missouri), and Jon'Vea Johnson (Toledo). Samuel, Hardman, and Hall could slide and be in play for Dallas at 90th overall in the third-round. I am completely on board with drafting another WR with the Cowboys third-round selection. Having said that though, it needs to be a player who brings something a little different to what is currently on the roster and I think Samuel, Hardman, and Hall definitely fit into that criteria. Each one of these receivers are dynamic in space and could seriously challenge for large amount of playing time as rookies, especially when you take into consideration Cobb's recent injury history. We would all probably like to see the Dallas Cowboys address the defensive tackle position earlier than this, but unfortunately there doesn't seem to be a lot of value at the position in the second or third-round when the Cowboys are on the clock. The fourth-round seems to be where the best value is for the Cowboys to add more DT depth, especially if you take a look at their pre-draft visitors at the position. Four of the Dallas Cowboys 30 pre-draft visitors are defensive tackles, and each of them could be in play still for them in the fourth-round. Gerald Willis III (Miami), Trysten Hill (Central Florida), Kingsley Keke (Texas A&M), and John Cominsky (Charleston) are all projected to be drafted somewhere in this range and they all make sense for the Cowboys. They have several DTs on the roster right now on one-year contracts and definitely need to address a position at some point. The fourth-round looks to be where the value lies unless one of the top prospects somehow slides to them at 58. Do you think the Dallas Cowboys pre-draft visitors revealed their draft strategy?